Some small and tiny chips, a little wear.  Dimensions: 6" x 2"
A group of six borders and four borders with corners, very rarely found, in light mahogany glaze. 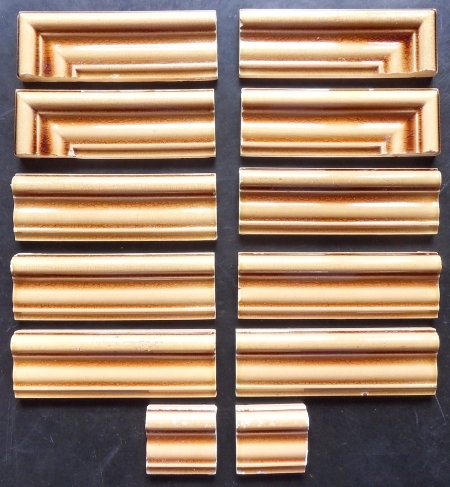 Such borders were very common in victorian and edwardian installations mostly as dado rails but also framing decorative tiles in a field of plain tiles, it is most unusual to find a set with approriate corners. 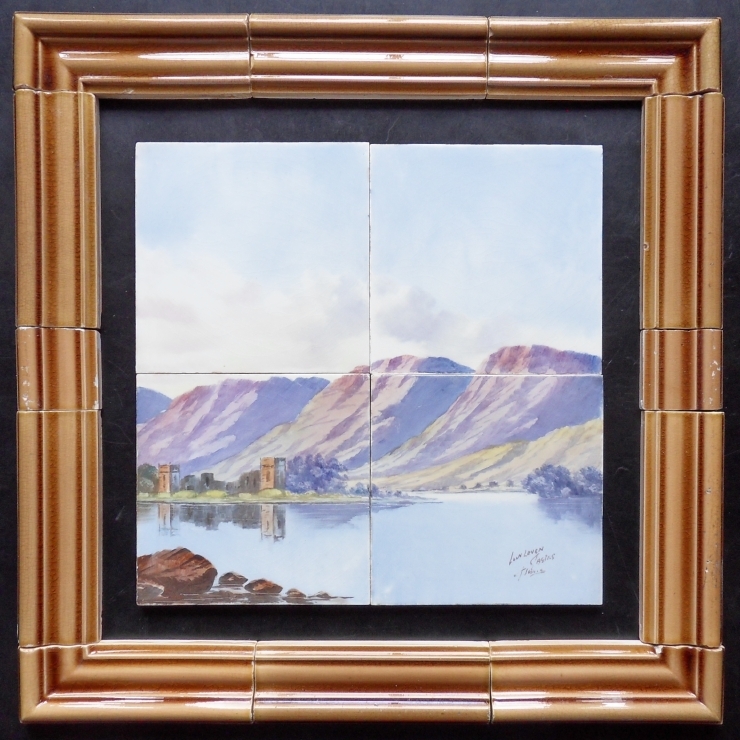 Will nicely frame a group of four 6' x 6' tiles with the addition of a one inch border as below or be repurposed for a small size. Click the images above and below for much larger photos. Versos very clean, embossed P in opposing corners.